We can actually live in our living room now! 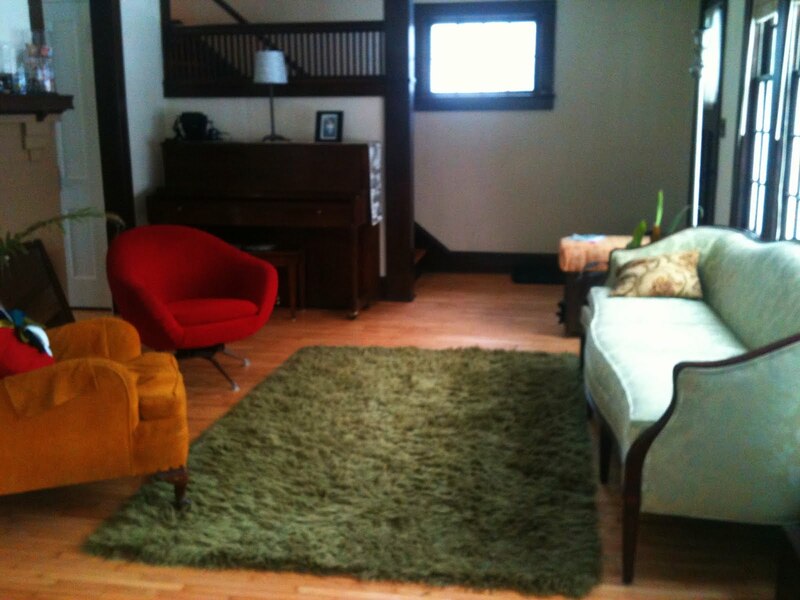 Last Saturday, we brought home a piano and that groovy yellow chair. It may get reupholstered someday, but for ten smackaroos, it's perfect. Jesse couldn't believe that I finally found my piano. He would scour craigslist for me and be baffled when none of them interested me. Then we saw this one. It's an older Baldwin studio piano, pretty good tone and pitch. Best of all, it was under budget. I think I'm finally getting used to a mostly finished living room. For awhile there I felt like I was in the wrong house! I'd still like to find the perfect area rug, hang something over the mantel, put in some sort of heating unit (pellet or wood stove? Fireplace? ), and wouldn't an antique umbrella stand with mirror look great next to that window? For now, it is pretty delightful having a mostly finished space. Come visit us! We'll hang in the living room! Looks good, we'll have to come visit (in the summer) to see it in person. Love it! That looks like the piano we had growing up... too bad I didn't stick with lessons as a kid. what a lovely living room. i like your blog. i got to you through Damaris, from kitchen corners. i am now a member and will get your updates. very nice.